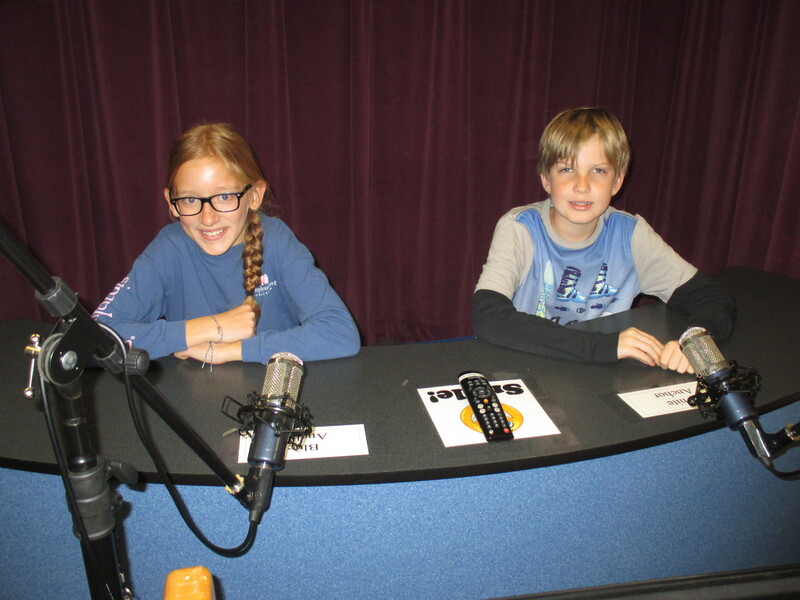 At the beginning of each school year, all 5th grade students have the opportunity to join the TV Production Team. This group of talented students is trained to use our TV studio equipment (digital video cameras, toggle switcher, audio mixer, teleprompter, how to be an anchor and much more). Members produce the morning news show “live” every day. TV Production team members are asked to report to the media center at 8:10 am and no later than 8:20 am on the morning of their assigned weeks. The morning news show will be broadcast at 8:25 am to the entire school. Students will be assigned to a team that will be “on air” for consecutive weeks. A schedule will be sent home at a later date. Practice starts each morning at 8:10am. Please do not arrive earlier than 8:10. Teams are to report to the media center no later than 8:20am on the mornings they are on duty.